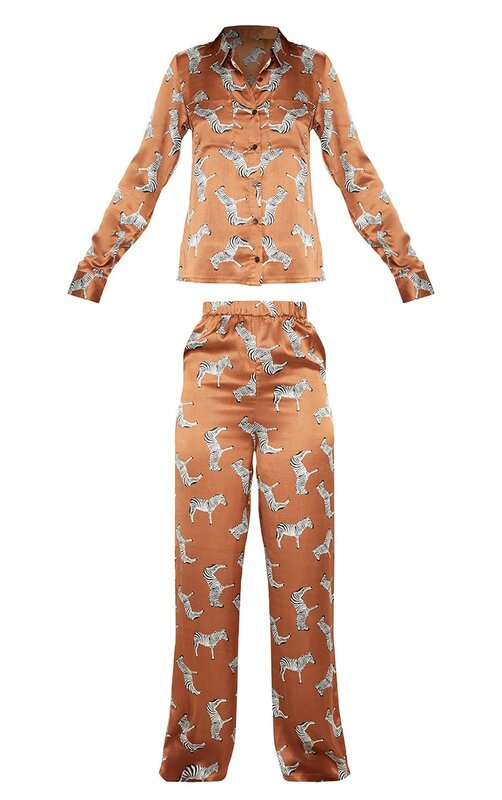 Switch up your bedroom style with this out-there pyjama set. 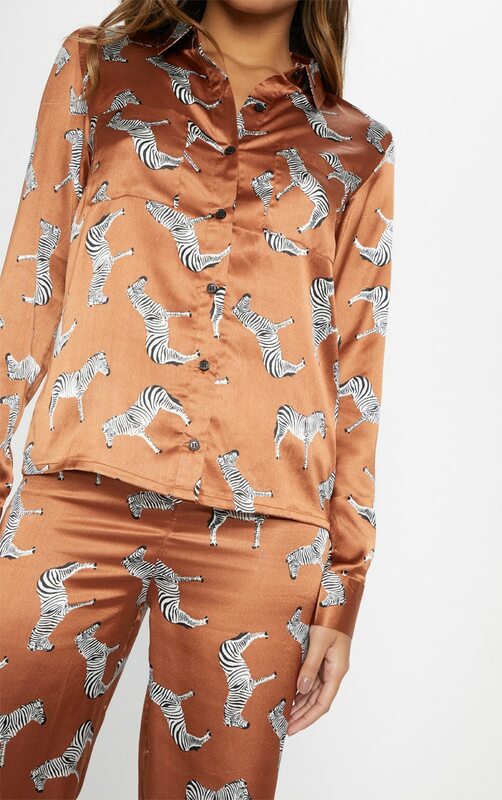 Featuring a rust satin material with all over zebra graphic print, a button up style with wide leg pants. 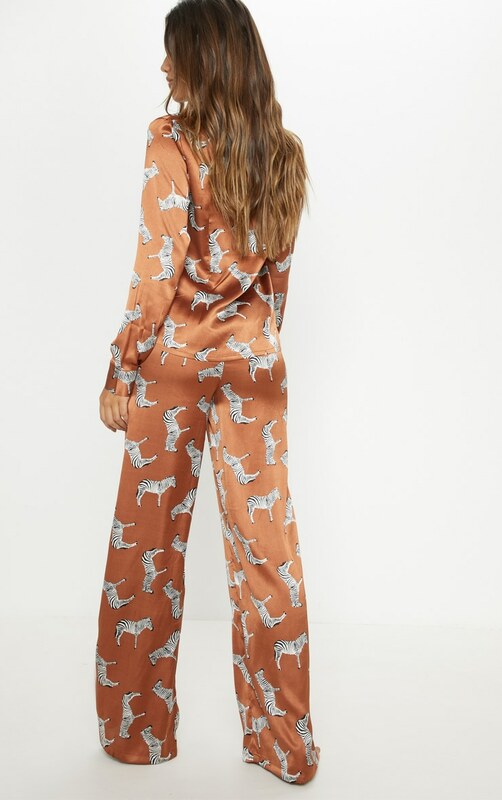 Team it with a pair of slippers and a robe for the ultimate lounge look.